So after doing a pretty darn good job cooking the cover of Bon Appetit, I declared my next cook the cover to be the June issue of Rachael Ray Every Day. I knew that whatever dish was on the cover, it was going to be full of flavor and yum-o. 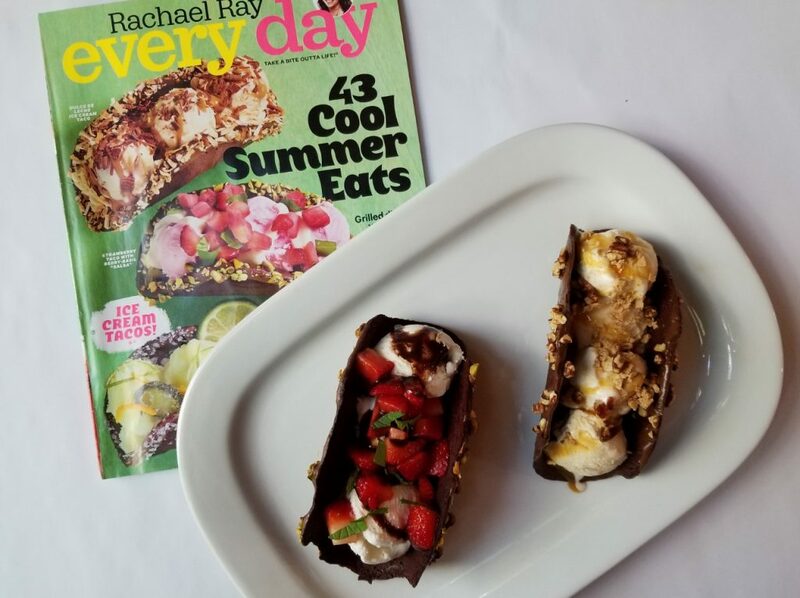 The June issue arrived, and being a sweet-lover, I was happy to see the ice cream tacos. Ice cream tacos! I can make them, no problem! 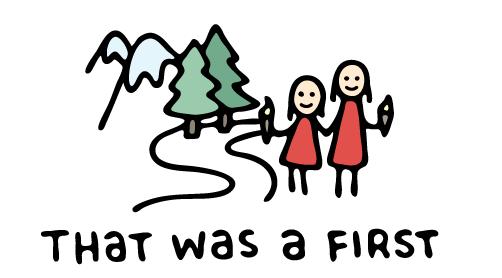 But, it wasn’t quite as easy as it looked. Not even close to easy. I had all of the ingredients on hand! 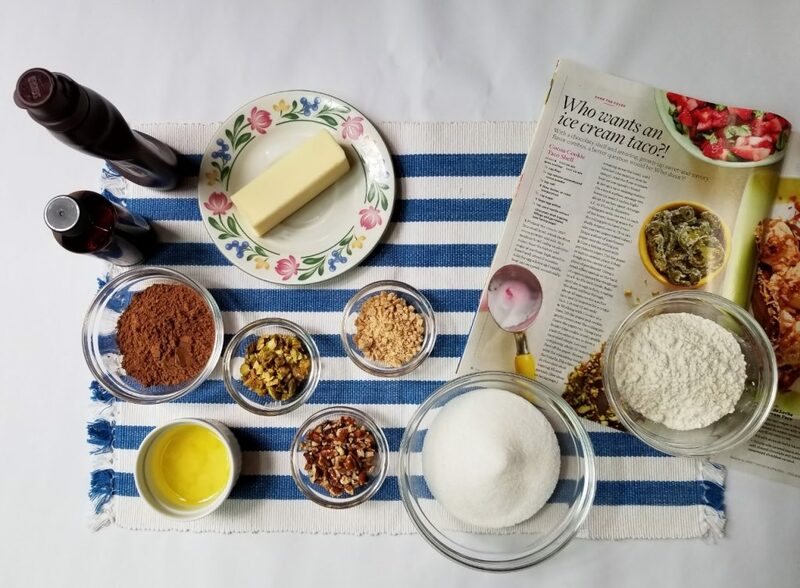 I like that in a recipe! The kids helped me make the tacos, so it’s always easier when the ingredients are measured out and ready to go. (Mise en place right? Which also means a lot of extra dishes to wash). The batter was pretty quick to make. It tasted and looked like brownie batter. We’re off to a good start. 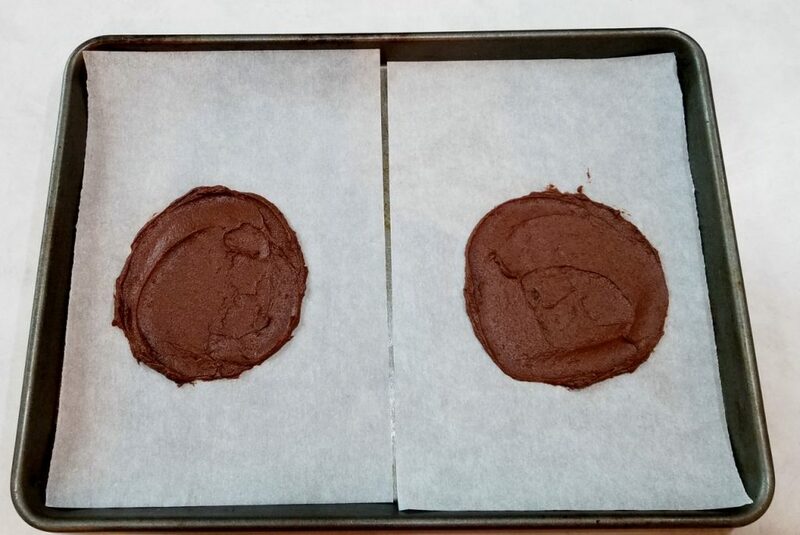 We swirled the batter into the correct size (5″, yes I had the ruler out) and put them in the oven. Two shells are baked at a time, so the recipe takes awhile to prepare. You can’t really bake more than two at a time because you have to curl the shells pretty quickly after they come out of the oven. Oh, how I just love running the oven on a hot summer day. Two shells going in the oven. Make sure the edges aren’t too thin or they’ll burn. 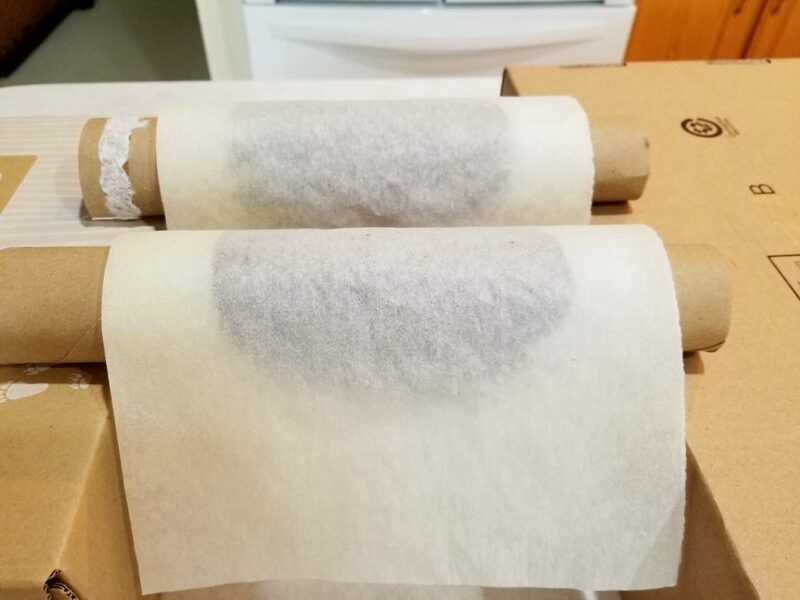 Boxes, paper towel tubes and parchment. I wonder if this is how they make tacos in Mexico? After the shells cooled, they were dipped in the chocolate sauce and pecans or pistachios. Please don’t think this step was easy, because we are now treating these taco shells like Dale Chihuly glass sculptures and trying our hardest to not break anymore! In the end, I made one dulce de leche taco and one with vanilla bean ice cream topped with strawberries and chocolate sauce. 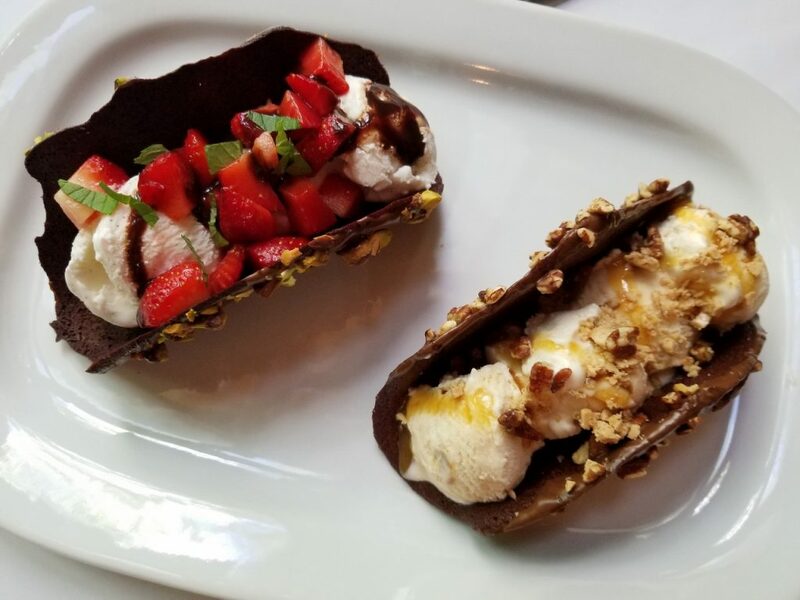 Ice cream tacos, a food first for us! The tacos are definitely a feast for the eyes! I love food that is so colorful and pretty! I’ll just keep the misery of making them a secret. Eating tacos is generally a mess right? Well, these didn’t disappoint. Melting ice cream, sticky sauce and crumbly taco shells is a messy combination. That didn’t stop us though! The ice cream tacos tasted very good, were a mess to eat, and a disaster to make. Whew! Glad this is over! The results of June’s Cook the Cover! This monthly cook the cover challenge is fun in so many ways. First there is the element of surprise, because you don’t know what you are going to be making. Then, you have to read the recipe and take on the challenge of a possible new cooking technique or maybe you get to try a new ingredient or two. Finally, you get the satisfaction of the final meal and knowing that yes, you are a pretty darn good cook! For next month’s cook the cover, I’m going to cook whatever is on the cover of the July issue of Food Network Magazine. I challenge you to do the same. I’m sure we’ll be preparing something fresh and perfect for summer. Let’s hope the recipe isn’t by Rachael Ray. I can’t wait!